Like any international move, Moving from USA to Nigeria requires a little preparation. A move to a new location can be a daunting experience. So it’s always useful to have a little information about your destination upfront. Intlmovers is a great way of finding international moving companies that can help you with your international Moving from USA to Nigeria. Using Intlmovers is one of the most convenient methods of finding the best mover to meet your needs. You can save both time and money. Intlmovers allows you to compare quotes quickly and easily from up to six international moving companies at once! 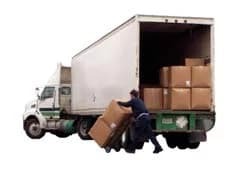 The movers have years of experience with Moving from USA to Nigeria. They have contacts in Nigeria which can make your removal cheaper. Most expats could be forgiven for expecting that the cost of living in Nigeria is very cheap. Actually, since the oil boom in Nigeria a few decades ago, the lucrative economic expansion and population explosion has caused considerable inflation in prices in the country. Private investment in luxuries and amenities for businesses and expats has caused a pricing explosion, in particular in the major cities of Lagos and Abuja. That being said, the cost of living for most Nigerian locals is around a dollar per day. This incredible disparity has resulted in a highly defined rich and poor class. You should contact the Nigerian embassy from the USA for the most up to date and accurate information regarding your visa or permit needs for your situation, and your eligibility to qualify. The international movers partnering with Intlmovers are all highly reputable professionals. They are industry specialists from the world of shipping and logistics. Their experienced skills have a proven customer service record in the industry. They have expertise in both personal and business shipping. Enjoy a stress free move, and relax knowing that your shipment is being well managed throughout your international move. Take advantage of the extensive levels of international moving company professional experience. Enjoy Moving from USA to Nigeria! Receive up to six international moving quotes with one single request on Intlmovers. Make your decision making process so much easier! Even though you can receive up to six quote responses, remember that you are under no obligation to accept any of them. Take your time, and evaluate the responses that you have. Compare services, compare costs, and make sure that you are happy with the information that has been provided to you. Make your selection from there for your Moving from USA to Nigeria. When you use Intlmovers to compare quotes, it’s both cost free and obligation free!